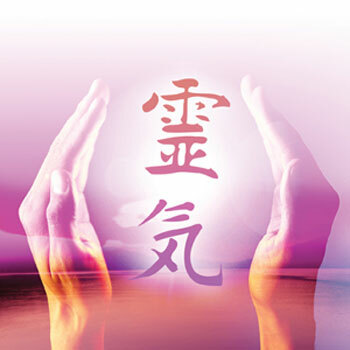 Reiki (Universal Energy) is a neutral way of healing. Provides vitality, restores any imbalance of energy, having a very relaxing effect. It is a subtle way of energy, therefore, it works some days before, during and after sessions. It is compatible and complementary to any other type of medical treatment, reducing side effects, pain and speeding the healing process. In fact, Reiki is used officially in Oncology Units, Chemotherapy Units and in Pain Units. It is contraindicated in persons with pacemakers, broken bones, open fractures and during surgery. In a Reiki session the patient lies on a bed, without shoes, nor watch, nor objects that may interfere. A Reiki room is equipped with relaxing music and dim light. The therapist covers the patient with a light blanket and invites him to relax by closing his eyes and receiving healing for 50 minutes. It is recommended to be regular and have weekly sessions. - Just for today, I will not be angry. - Just for today, I will not worry. - Just for today, I will be grateful. - Just for today, I will do my work honestly. - Just for today, I will be kind to every living thing.